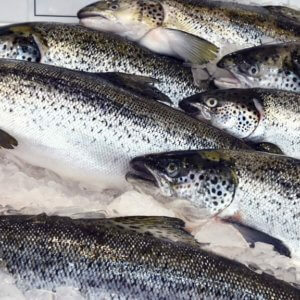 Animal breeders are blocked worldwide from using genetic engineering. Here’s why. “Tea. Earl Grey. 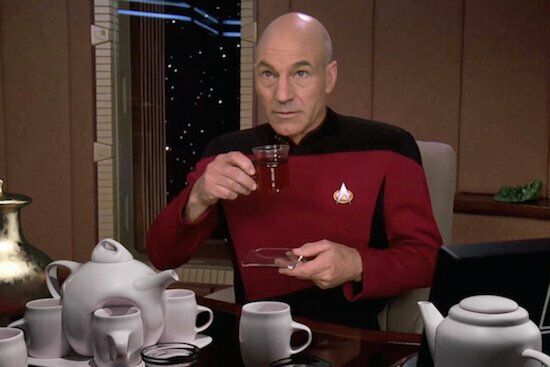 Hot.” That’s how fictional star ship captain Jean-Luc Picard from Star Trek orders his tea, 300 years in the future. He gives the command to a device called a “replicator” and it re-arranges matter to create a steaming hot cup of tea where no tea existed before. Albeit fictional, the replicator is an incredible piece of technology, you just step up and tell it what you want, from tea to Romulan noodles and, in the blink of an eye, it configures matter to accommodate your need. If you or I saw a replicator, it would be, by far, the most amazing piece of technology we had ever seen. 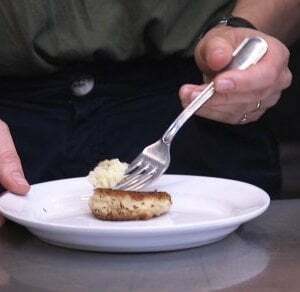 We would marvel about how it works, what its limitations are, wonder who invented it and replicate a table-full of dishes for testing. But for Captain Picard, it is just a normal, everyday part of his life. I like that about the show. After all, think about all the incredible technologies we rely on every day: refrigeration, automobiles, iPhones, the internet, flu vaccines, indoor plumbing, washing machines, lightbulbs and microwaves. Someone transported from 300 years in our past would also be blown away by all the things we consider convenient, but completely commonplace. There’s something great about technology being woven into the fabric of our lives – we don’t need to think about it too much, we can simply get on with the task of living. And for us in the capitalist world, that living is incredible. But there’s also a danger in never pausing to reflect on the good technology that is making our lives better, safer and longer. The danger is that we will sit idly by when we are told that we don’t need it. It’s that we won’t stand up and scream “No!” to those trying to take it away. That’s exactly what is happening with the technology of genetic engineering. And it makes me fear that we will never get to an even better future of food. Part of the problem is that many people aren’t even aware that the products of genetic engineering surround them. But these incredible technological innovations are commonplace. If you know a diabetic who must take insulin to survive, you know someone whose life depends on genetically engineered yeast to produce that medicine. 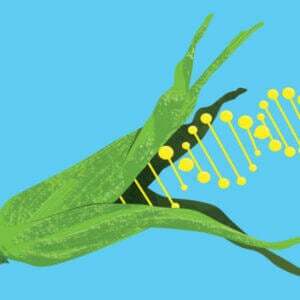 It’s not just medicine where genetic engineering is a commonplace technology. The cotton shirt and jeans you are wearing? Chances are they were woven from technologically advanced cotton plants, genetically engineered to resistant insects that otherwise infect cotton fields. Much like the rapid adoption of the cellular telephone, genetically engineered seeds went from new to ubiquitous in about 20 years. In North America, 80 percent or more of our major staple crops, like corn, soybeans, beets, canola and cotton are grown from biotech-enhanced seeds. Upwards of 70 percent of food on grocery store shelves contains ingredients grown from these advanced seeds. Genetic engineering is enhancing our lives in ways big and small. It may not be a “replicator,” but genetic engineering is a technology that allows mankind to create foods that are easier to grow, nutritionally boosted, better tasting, improved or enhanced in one way or another – like orange trees that don’t succumb to disease, insect-resistant eggplants, non-browning apples and cheese-making enzymes that didn’t require inefficient animal harvest. If you could capture the spirit of genetic engineering, it would be that it gives mankind the tools necessary to improve food, how it grows, tastes and the nutrients it contains, faster and more precisely than ever before. Most people benefit from genetic engineering every single day, but it’s not getting the recognition and applause it deserves. Instead, it is treated as a villain. A large, vocal movement of activists are opposed to these genetically modified organisms (GMOs). They distort with misinformation, which threatens to smother both the useful plants and the innovators that invent them. At its core, the controversy is about man’s relationship to nature. 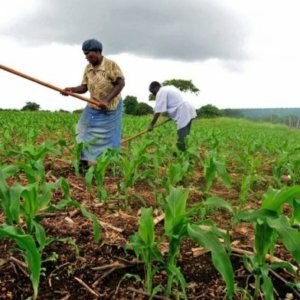 Anti-GMO activists believe it is morally wrong to change nature using modern technology and they believe, without examining the evidence, that there will be something dangerous about doing so. Anti-GMO activists falsely claim that biotechnology is dangerous or, at best, not that useful. They accuse these foods, that are in reality just as safe to eat as their conventional counterparts, of causing widespread disease, like cancer, autism or obesity. But nature isn’t a garden of Eden, just waiting for us to traipse out and pick safe and delicious food. Instead, humans need to transform the given in nature into something that is safe and fit for our purpose. Thankfully, we have been using human ingenuity to improve foods for ages. Corn, for example, began as a grass-like plant with tiny cob-like fruits. It wasn’t very nutritious and was completely unrecognizable (without a biology degree, anyway) as the precursor of corn. Our ancestors began transforming it over 5,000 years ago through the technology of artificial selection—by simply propagating the plants they liked best and discarding the rest. 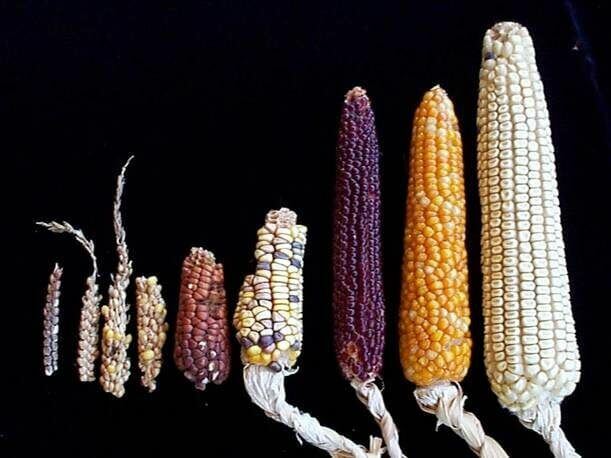 Modern humans have used modern technology to improve corn by engineering which genes corn seeds should have, creating corn with a variety of useful traits, such as the ability to withstand insects. Our ancestors would be blown away by the tools we have to deal with the problems that plagued them. Each fruit, vegetable and food animal that we enjoy has been transformed through thousands of human decisions into highly advanced products—even before the advent of genetic engineering. It is another step on the continuum of what mankind has been accomplishing for millennia—improving food for humans. With few exceptions, everything in the grocery store has been radically altered from its natural state. That’s a good thing. What nature provides is mediocre, middling, not that useful, sometimes dangerous and generally difficult to grow. But the fear and hysteria drummed up by anti-biotechnology groups has had a great deal of influence on US grocery store shoppers. If you thought the public was on the side of the humanity, you need only take a stroll through a US grocery store to check that premise. There, the fiction that technology should have nothing to do with food reigns supreme. The most common word I see on packages is some version of “natural.” The market for organic foods, which tout rules designed to keep farming antiquated, and therefore cannot contain biotech ingredients, grows every year. And genetic engineering, which makes our cornucopia of safe, reliable and plentiful food possible is called out particularly and most unjustly as a villain. A “Non-GMO Project Verified” label is displayed on products that net over $8.5 billion annually. The labels are getting hard for a pro-science shopper, like myself, to avoid. To add to the injustice, the labels use a cheery butterfly to sell their road into the past. It should more accurately be a star ship in flames. It is consumer demand has brought about all these changes. For shoppers, it’s hard to see the technology in the food we eat, which makes us vulnerable to the messages of the anti-GMO movement. Shopping for food isn’t like using a Star Trek replicator where you interact with the technology that creates your food. Most shoppers are far removed from a farm. And holding up a piece of corn in the produce section, it’s difficult to see the technology it contains. If we don’t recognize it, it will be even easier to have it taken away. 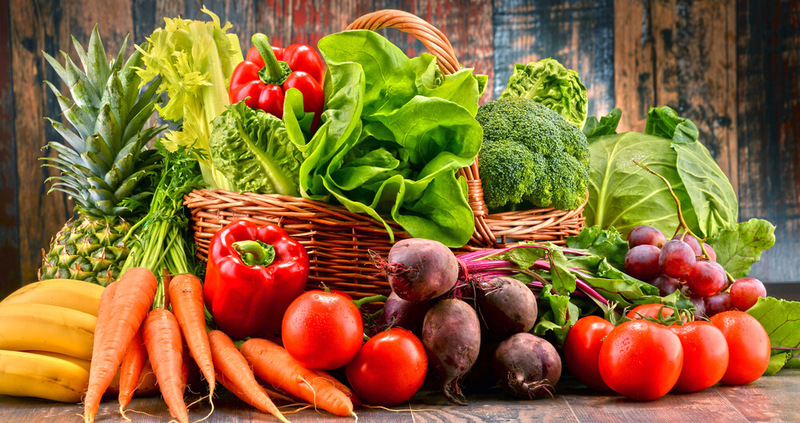 In the West, it is great that we don’t have to care too much where our food comes from to fill our carts with a panoply of safe, nutritious and delicious foods. But that ignorance is being used against us by activists seeking to put a stop to the technology of genetic engineering. And we are sucking up those ideas, like an undiscriminating plant sucking up toxic messages, rather than adopting the ideas necessary to move humanity forward. Humans survive by transforming nature and we use technology to advance our way of life and move into an even better future. It takes a certain courage to live as human beings. “To boldly go where no one has gone before,” to change nature for the better, to take the reins of life and direct it for your own good. It may not seem that a visit to the grocery store is filled with large, dramatic choices about the future of humanity. But it is. You get to be part of the choice of whether humanity will move forward when it comes to food or whether we will move backwards. You make a difference with what you choose to put in your cart, what movements you support and what ideas you espouse. Some of the intellectual content in this article was developed as work-for-hire at the Ayn Rand Institute (ARI) and fundamentally impacted by contributions from ARI staff members. ARI has agreed to give me full permission to use this content. Any errors in this work are my own.